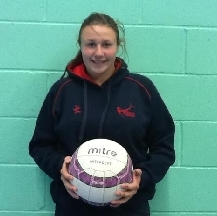 In January 2013, teenager Jessica Dale applied for a grant for Netball equipment and travelling cost. Jessica is from Southport and plays goal keeper for the National Under 14’s Champions – Oldham. Jessica now 15, who also plays and trains at Loughborough and Sheffield Universities, has been called up to the national side. Jess is aiming high as she has her sights set on the Commonwealth Games in Gold Coast City, Queensland, Australia.